James N. Gianopulos is the Chairman and CEO of Paramount Pictures. Previously, he served as Chairman and CEO of Twentieth Century Fox, one of the world’s largest producers and distributors of motion pictures, consisting of Twentieth Century Fox, Fox 2000, Fox Searchlight Pictures, Fox Animation Studios, Blue Sky Studios and Fox International Productions. These studios have annual revenues in excess of $8 billion and operate in more than 100 countries worldwide. 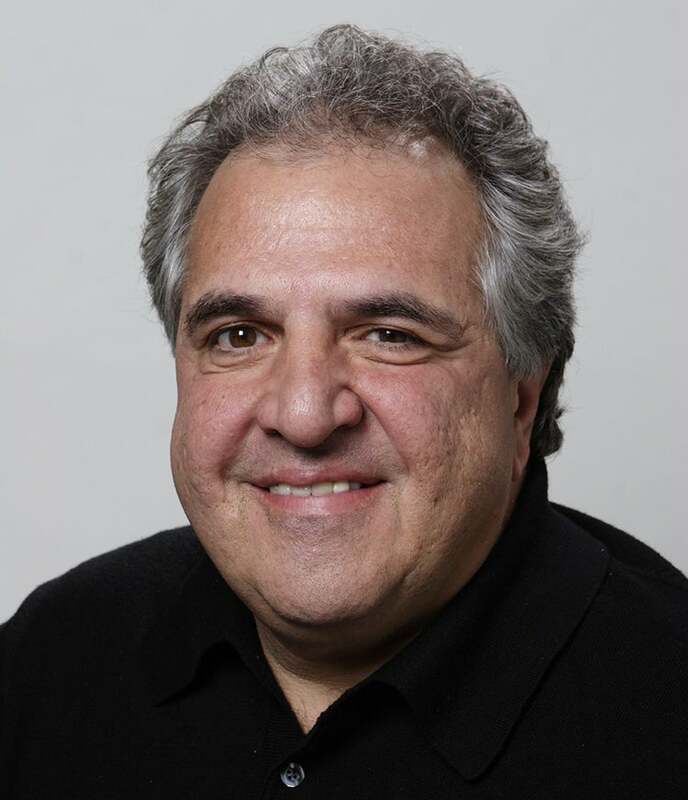 As Chairman and CEO since 2000, Mr. Gianopulos is one of the longest-tenured studio chairmen in the film industry. He oversees all feature film production, marketing, and global distribution of film and television content in all media. Mr. Gianopulos has been involved in the evolution of new entertainment media and technologies for more than 30 years, and has been recognized as an industry leader while guiding the studio to the forefront of the digital revolution. As Chairman and CEO since 2000, Mr. Gianopulos is one of the longest-tenured studio chairmen in the film industry. He oversees all feature film production, marketing, and global distribution of film and television content in all media. Mr. Gianopulos has been involved in the evolution of new entertainment media and technologies for more than 30 years, and has been recognized as an industry leader while guiding the studio to the forefront of the digital revolution. During his time as Chairman and CEO of Fox (until 2012 with Tom Rothman), the studio has had its most profitable years ever, and in 2014, Twentieth Century Fox broke the all-time industry global box-office record, earning more than $5.5 billion. This eclipses by more than $350 million the previous record set in 2011. The domestic box office total of $1.8 billion was the studio’s best year ever and the highest domestic box office of all studios in 2014. Fox International, which distributes in over 130 countries, has had the highest grossing box office for all studios for the fourth time in the past six years, another industry record. During his tenure at the studio, Mr. Gianopulos has overseen a broad range of successful films, including X-Men: Days of Future Past, Kingsman: The Secret Service, Life of Pi, Rise of the Planet of the Apes, Dawn of the Planet of the Apes, The Fault in Our Stars, The Grand Budapest Hotel, Gone Girl, the Night At The Museum pictures, the Takenseries, The Simpsons Movie, Borat, The Day After Tomorrow, Walk the Line, the Star Wars Trilogy: Special Edition,Minority Report, and Moulin Rouge, among many successful films. He also has the unique distinction of having championed two of the biggest gambles, and the two highest grossing films of all time: Avatar and Titanic. Under his leadership the studio’s animation division, Blue Sky Studios, produced many successful films, such as the Ice Age and Rio series. Fox Searchlight Pictures, the studio’s specialized division, produced and distributed commercial and critical successes, such as the Oscar-winning films Birdman, 12 Years a Slave and Slumdog Millionaire, as well as The Descendants, Black Swan, Juno, and many others. Upcoming 20th Century Fox films include Spy, a comedy from director Paul Feig (Bridesmaids, The Heat); Paper Towns, adapted from the best-selling novel by John Green (The Fault in Our Stars); and Fantastic Four, a contemporary re-imagining of Marvel’s longest-running superhero team. Among the films in production are X-Men: Apocalypse, The Peanuts Movie, Joy (directed by David O Russell, starring Jennifer Lawrence), Miss Peregrine’s Home for Peculiar Children (directed by Tim Burton), a sequel to Independence Day, and in pre-production, three new Avatar films from James Cameron. Prior to his current post, Mr. Gianopulos served as President of Twentieth Century Fox International, a position he held from 1994-2000. Among the many notable successes during Mr. Gianopulos’ tenure at Fox International are the Oscar winners Titanic and Braveheart. At one point Fox International had four of the five top grossing pictures of all-time internationally: Titanic, Star Wars: Special Edition, Independence Day and Star Wars: Episode 1 – The Phantom Menace. Before joining Twentieth Century Fox, Mr. Gianopulos held senior management positions at Paramount and Columbia Pictures following his career as an attorney specializing in entertainment. Mr. Gianopulos is a member of the Board of the USC School of Cinematic Arts and is a Trustee of Carnegie Mellon University, as well as a Trustee of the American Film Institute. He is involved in a number of civic and philanthropic activities including serving on the National Entertainment Advisory Council for the Anti-Defamation League and the Board of the XPRIZE Foundation. In 2013, the Simon Wiesenthal Center bestowed him their highest honor, The Humanitarian Award. Mr. Gianopulos attended the Master’s program at the New York University School of Law, the Fordham School of Law (Juris Doctor, 1976) and Boston University (BA, 1973). He resides in Los Angeles with his wife Ann and their three daughters.